It looks like the Carnival Triumph transformation into Carnival Sunrise has already started with work being carried out and supplies onboard ready for the dry dock. Carnival Triumph isn’t officially scheduled to begin its transformation into Carnival Sunrise until March but work has already started. While guests enjoy their Carnival cruise vacation, behind the scenes areas are being ripped up and new storage spaces are emerging. What we know is the Cigar Bar located on deck 4 towards the aft known as the Oxford Bar is being used as a storage area. The public space is closed for guests and supplies for cabin remodeling are being stored there. The band which would usually be playing there during the evenings have been located to the promenade deck. This brings us as to why the bar is closed and keeping supplies there. Work has already started on cabins and the hallways on deck 2. It is not known exactly how much is closed off but from the photos is at least an entire section. We’ve received photos of remodeling work taking place with fittings being ripped up and panels removed. Plenty of piping and technical work being done too. As long as the work is not having an impact on guest experience then we’re all for starting early as it will be one of the largest dry dock operations ever for Carnival. We just hope they have learned from the past when doing this kind of work onboard. In 2017 there were many complaints from guests on the Carnival Glory when the new WaterPark was being constructed and work being done in the corridors, you can read about it here. This occurred not long before the ship was scheduled to begin a two-week dry dock. 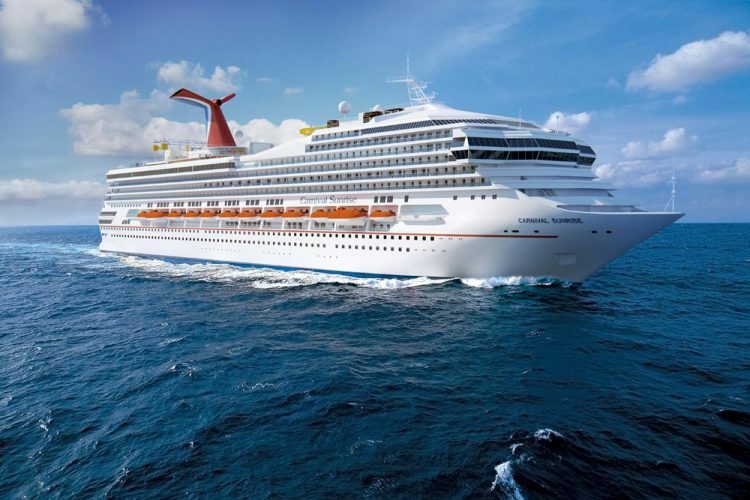 Carnival Triumph will begin its dry dock on March 1 which is just around the corner. It will be a huge project with the Carnival ship being completely transformed and renamed as Carnival Sunrise. It will all be completed towards the end of April and is taking place at the shipyard in Cadiz, Spain. Many new features and enhancements will be added during the two-month renovation and one of the biggest highlights is a new Guy’s Pig & Anchor BBQ Smokehouse and a RedFrog Pub. New dining spaces, bars and public areas already seen on other new Carnival cruise ships will also be added to the ship. The newly refreshed ship will begin its new service sailing from Norfolk, Virginia starting on April 29. In October the vessel will reposition to Fort Lauderdale, Florida.